A LITTLE UPDATE ON THINGS TO BREAK MY SILENCE! Hello everyone. I felt compelled to break the silence with a brief update on matters. I've had quite a lot of traffic round these parts of late, thanks to sharing of my data journalism handbook post and Nathan's inclusion of my site on his collection of blog reads, but by now people are probably wondering why the lights are on but there's seemingly nobody home! One of the main reason for my current dry blog post spell is that I'm firmly in the midst of my packed training schedule. I've had a few private events lately and tomorrow I fly over to New York to begin a three date tour in NYC, DC and Baltimore. When I return I'm on a 2 week Italian holiday and then back over to Chicago and Toronto for another chunk of time. This means my posting frequency has been and might continue to be somewhat sporadic for the near future but once the middle of June arrives, the acceleration will be significant. I've had a number of people starting to ask when I'll be arranging and announcing my training schedule for the latter half of 2012/start of 2013. Well, the simple answer is I've not had time to think about it but I will be doing a formal call out for suggested locations soon. In the meantime, just drop me an email with your preferred location and I'll throw it into the mix! I'll be knuckling down soon to compile the usual best of the visualisation web collection for April. There's just too much good stuff to make this a lightweight task! Benjamin's recent post about the data visualisation tools collection has inspired me to finally face up to the task of refreshing and making complete this series of essential visualisation resources posts. I've got about 30 tools to add to the collection and all sorts of updates to make here and there. I've also got to finish off my long overdue collection of data handling tools and places to get data for this same resources series. I've got some great interviews/designer profiles lined up in the next month and hope to have these out as soon as they are ready. I'm also going to be launching what I hope will become an annual survey about the state of the visualisation field, that's nearly ready but I'm not ready for the dealing with all the data, analysis and presentation of the findings side of things! Once June is out of the way I have loads of plans for a bit of a Visualising Data reboot which will see the site being stripped back and rebuilt brick by brick. I'm going to be looking at a new look, a new feel and definitely an enhanced approach to the content side of things too. If you have any deep felt opinions about what the site should and/or shouldn't be, feel free to get in touch via email - I can't guarantee it will turn out as you suggest but happy to receive any informed opinions. 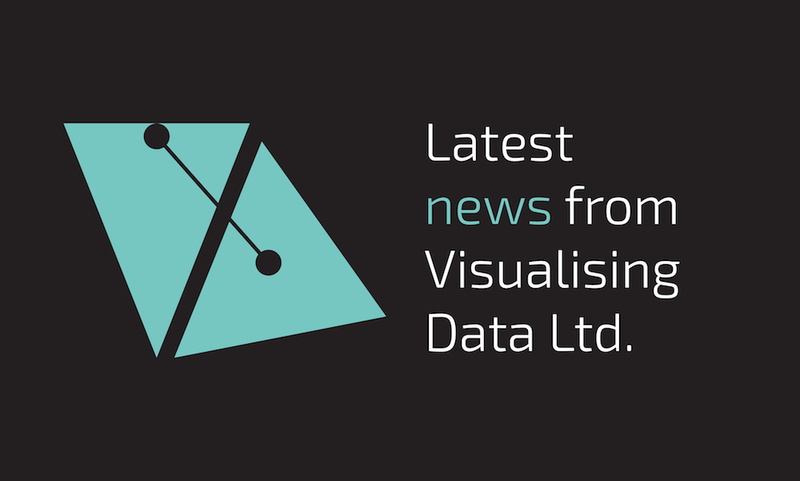 Anyway, enough self-promotion for now, just thought I'd let you know what's going down at Visualising Data HQ.